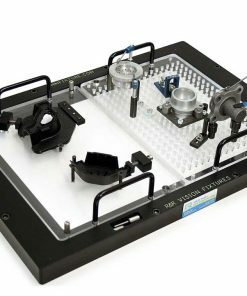 Based in Grand Haven, MI, R&R Fixtures is a renowned company providing stellar fixturing solutions for CMM and vision systems. The company has been in the business since 1990, and has been acquired by the Renishaw group. Today, R&R Fixtures continue to develop new accessories, provide support via FixtureBuilder, as well as offer modular and custom fixture engineering. 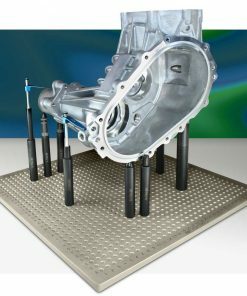 It’s safe to say that companies in the medical, industrial, electronics, appliance, automotive, and aerospace industries have benefitted from R&R Fixture’s fixturing solutions. Willrich Precision was founded in 1971 and we have built a reputation of being a trusted retailer of precision measurement tools in the inspection, metrology, and gaging industry. When you browse through our inventory, you can find one of the largest selections of R&R Fixtures products. What’s more, they are built to last and are priced very competitively. Whether you are looking for modular or specialized fixtures, look no further than Willrich Precision Instrument. Our friendly sales team will help ensure you find and purchase the right products and stay within your budget at the same time. Shop with us today and enjoy complete peace of mind!